President Trump's son made the comments Tuesday night to Fox News' Sean Hannity, amid ongoing developments related to the FBI's Russia probe and fallout from the firing of FBI Director James Comey. 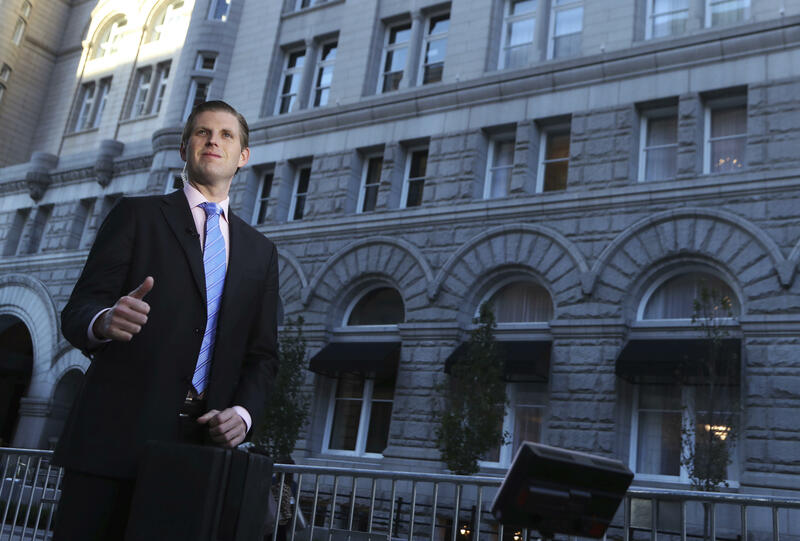 Eric Trump also lashed out against Democrats more broadly, and called the head of the Democratic National Committee, Tom Perez, a "total whackjob." "I've never seen hatred like this," Trump told Hannity, who said he agreed with the comments. "And to me, they're not even people. It's so, so sad. I mean, morality's just gone. Morals have flown out the window. We deserve so much better than this as a country." And you know, so sad," Trump continued. "You see the Democratic Party -- they're imploding. They're imploding. They have no message. You see the head of the DNC, who is a total whackjob. There's no leadership here." The 33-year-old Trump is the executive vice president of the Trump Organization, responsible for managing his father's business dealings while Mr. Trump is president. He also campaigned for his father during the election, and he and his siblings have defended their father in the face of ongoing criticism of the White House. The White House is scrambling to manage and message the Russia-related developments, as Washington anticipates Comey's testimony before the Senate Intelligence Committee Thursday. Comey is expected to testify about a conversation in which the president asked him to drop the FBI investigation into former National Security Adviser Michael Flynn. Flynn left the White House in February less than a month into the job, after he misled Vice President Mike Pence about his interactions with the Russian ambassador. Ahead of Comey's testimony, the president announced in a tweet early Wednesday morning that he is nominating Christopher Wray, a former assistant attorney general in charge of the Department of Justice's Criminal Division, to take Comey's place as head of the FBI.